There are few workouts in the world as challenging and versatile as CrossFit, so you don’t want to wear any old shoe when you’re working out. Finding the best CrossFit shoes is a matter of hard work, perseverance, and dedication, just like the sport itself, with so many brands all promising to offer you the very best but some falling short in the delivery. If you’re already begun your search for the best CrossFit shoe and found yourself coming up short or confused by the options, this guide can help. We’ll show you some of the top rated CrossFit shoes on the market, so you know what to look for, and show you what features are essential for this unique type of footwear. Due to the difficulty of CrossFit, you want to feel protected with your shoes and have the support needed for all of the exercises that come your way. As no two CrossFit workouts are the same and you do everything from climb ropes to lift weights, your shoe has to be versatile enough to help you achieve your goals. There’s no accessory or piece of equipment more important to an athlete than their shoes, and this couldn’t be any truer than in CrossFit. Due to the extreme nature of the workout and the constantly changing exercises that you do each day, the shoe that you choose has to be up to the task and able to give you support in whatever it is you’re doing. There are a number of features that you have to be sure you get when buying a CrossFit shoe, but first, it’s important to know what makes the CrossFit workout so unique. With a bit of understanding about what’s required in a CrossFit workout, you’ll have a better idea of what your feet need to help you get through it. CrossFit shoes are more than just footwear to the people who enjoy this regime, as they offer all kinds of benefits for both you and your workout. There’s less chance of injury, improved form, and exceptional results all on offer when you have the best CrossFit shoes, so it’s an accessory that requires quite a bit of thought. Once you’ve found the perfect pair, though, you’ll wonder how you ever lived without them. This simple buyer’s guide will show you what to look for and what’s important so that you can get back to what you love most – working out. What Is The Difference Between CrossFit Shoes And Regular Shoes? Unless you’ve been living under a rock for the last few years, there’s a good chance you’ve heard of CrossFit before. This global phenomenon is taking the fitness world by storm and is loved by people of all ages, backgrounds, fitness levels, and genders. Combining tough exercises from different sports, this is a fitness regime like no other. No two CrossFit workouts are the same which is what makes this sport such a challenge. On any given day you can be competing in a range of exercises including weight lifting, sprinting, climbing ropes or boxing, so you want the right shoe to help you achieve all that and more. The CrossFit phenomenon is a fairly recent one when compared to other sports and types of workout. The CrossFit company was born around the year 2000 but the workout itself actually began before this date when the founder, Greg Glassman, was just a teenager. Today, CrossFit can be found across all corners of the globe and enjoyed by millions, and it’s grown and expanded so much since its early days. Glassman was a teenage gymnast, so it’s obvious where a lot of the workouts come from. This is a type of exercise that takes all of the best bits of rowing, boxing, weights, cardio, gymnastics and more, and compounds them into a challenging but exhilarating workout. 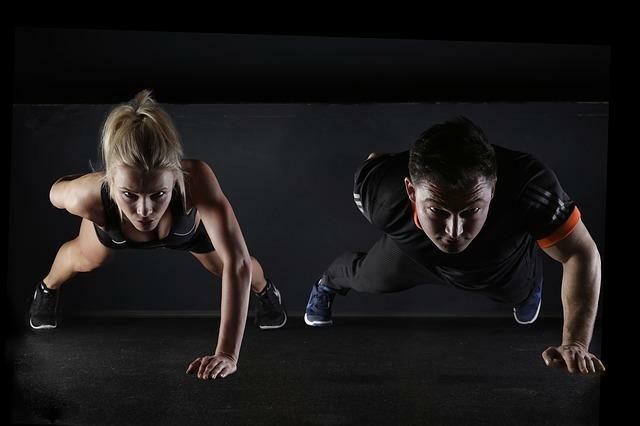 CrossFit features a number of different exercises all done at high intensity and featuring functional movements, so no two classes are ever the same. A standard CrossFit session will see its members in a gym or shared workout space, all following the same routine. The instructors will put the details of this workout on a board for everyone to see, and there are no special considerations for those who think they need them. CrossFit has been designed to encompass people of all fitness levels and help everyone to grow and challenge themselves together. The way that CrossFit works for everyone is by having individual members scale their workouts to suit, which can mean things like getting heavier or lighter weights to suit. The purpose is that everyone works on the same routine and uses real and measurable goals so that you can see how far you’ve come. On any given day, the CrossFit workout can change so much, and that’s why it’s essential to have the right gear. As well as being comfortable in your clothes you need shoes that are going to allow you to be flexible, keep you stable, and give you comfort, as anyone who’s done a CrossFit session knows, there’s nothing relaxing about it. When CrossFit was in its early days, people had no idea what it even meant and it took some time for the now global phenomenon to catch on. Flash forward to today, and many of the world’s leading shoe brands have developed specific models and ranges that are for CrossFit workouts exclusively, highlighting just how huge this workout revolution is. Anyone who’s purchased a pair of exercise shoes before knows that manufacturers try to make it easy for you by categorizing the footwear based on the sport. There are shoes for running and jogging, shoes for walking, shoes for weightlifting, and even those for yoga. It makes sense then that a globally popular sport like CrossFit should get their own style of shoes to suit the workout, and that’s exactly what’s happened. Participants need good Crossfit shoes versatile enough to take them through the different exercises of the sport. The shoes have to be flexible enough to help them move around, strong enough to keep them stable on the ground, and comfortable enough so they feel supported while the rest of their bodies struggle through each challenging workouts. The best sneakers for Crossfit have to be able to work in all types of conditions and be versatile enough to handle them just as well, as you don’t want to be changing your shoes midway through a session. We’ve compiled a thorough buying guide to walk you through what you need in order to get the best CrossFit shoes to suit you and your unique circumstances, so you can perform better than you ever have before. Searching for the right CrossFit shoes can be quite a challenge, and if you’re completely new to the exercise phenomenon, you’ll be wondering what you need to get started. Take a look around the room at your next session, and you’ll likely see a lot of people wearing the top rated cross training shoes, so your answer is to find a brand that specializes in this unique workout and go from there. Here are our top picks for the best CrossFit shoes for women and the best CrossFit shoes for men. To get the best from your CrossFit workout you need a shoe that can adapt, and that’s exactly what we’ve found. These are our top recommendations for the best cross training shoes for men specifically so you can narrow down your search and find one shoe to help you perform at your maximum ability. Some athletes won’t trust a shoe unless it has the Nike logo on it, and with good reason. These footwear giants have been creating some of the most innovative and supportive shoes to suit athletes of all backgrounds for years, and they know exactly how to make a CrossFit fan happy. The Nike Metcon 2 shoes are cross trainers specifically made for the versatility CrossFit offers so you have just one shoe to rely on for all the different types of workouts you might encounter. Whether you’re throwing the battle ropes, lifting weights, or doing sprints, you’ll feel completely supported with the Metcon 2 trainers on your feet. The key ingredient to the success of the Metcon 2 shoes is the flywire midfoot technology that helps keep your foot in place as you move but also offers just enough flexibility to move around as you need. Coupled with mesh that makes the construction of the shoe feel extremely lightweight as you work out but with a solid base that will keep you grounded. A few online reviews have commented on how much noise comes from this shoe, with many people thinking it might quiet down after some use. However, even after the shoes have been worn for a few months, they still make quite a bit of noise and can even be disruptive during a class. If you prefer a whisper quiet type of footwear, then these aren’t for you. The noise aside, there isn’t much to complain about with the Metcon 2 shoes, so long as you’re using them for CrossFit. If you do extra running outside of your training, then you’ll want a more specialized running shoe. Otherwise, you won’t get enough support. Keep these just for CrossFit, though, and they won’t let you down. Reebok has always been a leader in footwear, and they know exactly what each athlete needs to excel in their chosen sport. The iconic shoe brand teamed up with CrossFit to create a shoe that will help men perform their best in this unique style of workout, and the results certainly don’t disappoint. This is the newer version of the Nano trainer, and it has a re-engineered shape, so it fits your foot better and gives a firmer grip. With a 3mm toe to help drop on the Nano 5 Trainers, you’ll have the best stability on offer for your Workout of the Day and will be able to tackle anything the session throws at you. Many of the online reviews have claimed the life of the Reebok CrossFit Nano 5 Trainer might not be as long as they hoped. When you consider the cost of a pair, you might want to get a little more wear out of them. However, for anyone training heavily and doing 4 or 5 sessions a week, you might need to upgrade them sooner than you thought. Everything about these shoes has been carefully designed to tackle a CrossFit workout, with one of the most important features being the raised outsole lug patterns. These help to keep you firmly in place as you lift, throw ropes, and do just about anything else that requires stability and grip, and you’ll appreciate it at your next tough workout. The Reebok CrossFit Nano 5 Trainers have a polyurethane NanoShell which means you’ll get additional support in the midsole and defense against wearing. However, if the previous reviews were anything to go by then you might want more protection. Another nice addition is the DuPont Kevlar infused mesh upper which allows your feet to breathe and keep cool even when the rest of you is working up a sweat. Women are lucky in that there tend to be more options for CrossFit shoes than there are for men. However, it can make searching for the right pair even harder. We’ve found some of the best women’s CrossFit shoes on the market and show you what makes them so special. Too often women might feel the shoe market is dominated by men’s choices, especially when it comes to sports shoes, but Reebok is a brand that ensures they ever forget the unique needs a woman has. 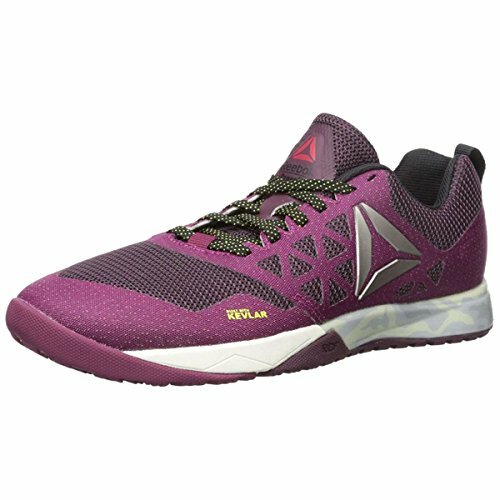 The Reebok CrossFit Nano 3.0 is the female version of these award-winning shoes and have been designed with the leaders of CrossFit to ensure they tick all the boxes as the best shoes for CrossFit women. 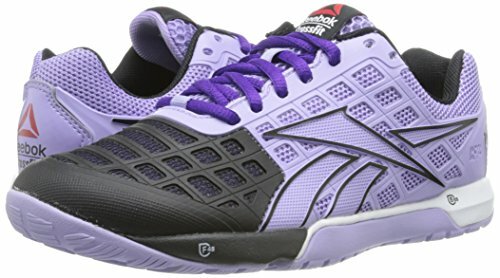 The CrossFit loving woman has some unique needs when it comes to her footwear, and requires a shoe that will give her stability through lifts and enough flexibility for jump rope or short sprints. That’s exactly what the Reebok Nano delivers, and it’s a shoe that does it all with many stylish designs to choose from, too. The Reebok CrossFit Nano 3.0 Cross Trainer uses a 360-degree polyurethane cast for a lightweight feel and will feel completely natural as you work out. These shoes have been designed to last through countless tough workouts, so you never have to worry if your shoes will stand up to the test. All you have to do is focus on getting through your next WOD. With a few variations of the Nano.3, Reebok has managed to finally perfect the design of the shoe. One of the most significant improvements comes with the dual density platform which gives the wearer cushioning in the forefoot and stabilization in the heel, so you’re supported at both ends and able to expertly perform a number of different exercises. The only real disadvantage that could be a bother to some is the wider toe box. While some have found this feature invaluable and a great way to improve comfort, others have found it far too broad and forgiving, so their toes don’t feel supported during a workout. It’s a matter of personal preference, so you need to know your comfort requirements before you dive in and get a pair. Getting into CrossFit can be an expensive hobby, beyond just joining the gym. Usually, the costs come from the workout gear you need to be comfortable and supported, with everything from training and sports bras to the right workout tights needing to be right. So when Ryka released their Influence cross trainer, it was a sigh of relief as there was finally an affordable and high-quality choice available. Ryka is known for making shoes that are well within most women’s budgets and never skimping on quality, and their Influence Cross Trainer is an excellent choice for anyone looking for a stylish, supportive, and robust wearing shoe for CrossFit. With a few options for the design including a bright pink or silver and blue look, there is something for women of all tastes. 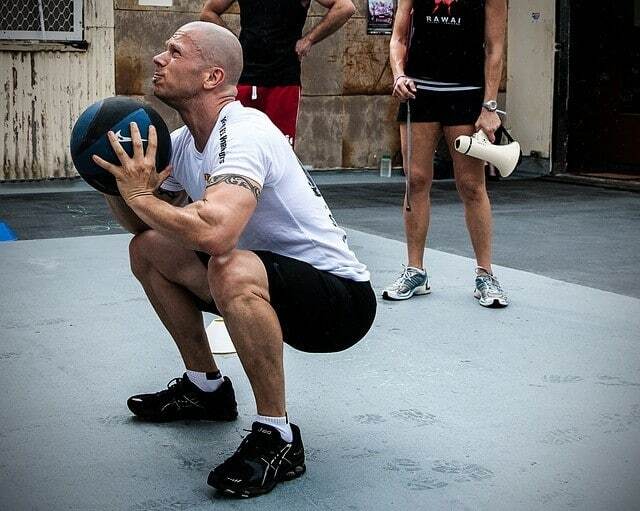 Influence has been made for high impact activities which makes it perfect for CrossFit. This shoe will support you through high-intensity cardio workouts and keep you stable as you lift weights so there’s really nothing it can’t help you achieve. These shoes have been ergonomically designed for comfort, and have a pivot point that lets you move comfortably and naturally, meaning less chance of strains and sprains. Some of the reviewers stated they would prefer a little more support in the heel whereas others found it perfect for their high impact workouts, so it might be a matter of preference. Another point to be aware of is the sizing, with some people saying they run big and others that they run small. For the best match, be sure to size them up with the measurements Ryka provides rather than going by your usual shoe size. This should help you avoid disappointment. Some also say the toe is wider than usual which could be a good or bad thing, depending on the width of your foot. ASICS is another brand known for making affordable footwear for athletes, and they have managed to succeed with another winner in their Gel Craze Cross Trainer. 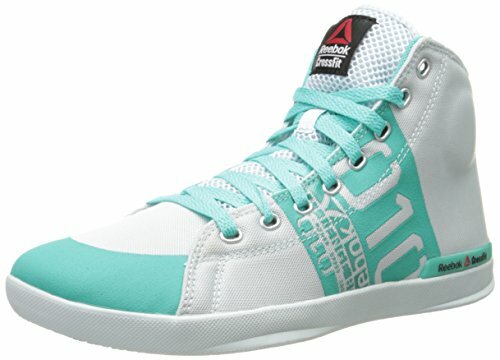 These would be an excellent choice for best shoes for CrossFit beginners thanks to their affordability. Once they’ve worn out, you can upgrade to something a little more intense. What makes these such a great idea for CrossFit is the unique gel cushioning technology featured in every pair. When you’re doing high impact exercises, as you do in most classes, you’ll be fully supported by the gel. It absorbs all of the rearfoot shock as you land which then shifts to the forefoot, so you’re completely protected. There were a few comments from customers about the fit of the shoes and where they differed in size. Some found the arch of the foot was narrow, and so was the toe box, but at the same time, the width of the rest of the shoe was too large. Therefore, it’s essential to check the shoe’s measurements against your own to ensure the very best fit. Although there is plenty of cushioning on offer with the ASICS Gel Craze Cross Trainer, there’s not a whole lot of traction. So if you’re doing high impact workouts and find that you need an extra grip on the floor, you won’t really be able to rely on these shoes. The same goes for if it’s raining outside and you’re sprinting or running, you may find it a little slippery, so they’re probably not the best CrossFit shoes for running. You might expect a shoe in this price range doesn’t have much to offer regarding style, but ASICS will be sure to change your mind with the vast selection of designs, colors, and patterns on offer. There are all black Crossfit shoes for a simple look or something more vibrant with pinks, blues, and yellows, so you don’t have to sacrifice on style just because you’re shopping in the mid-range part of the market. The cushioning is by far the most significant benefit these shoes offer, and for such an affordable price they’re a great choice for an entry shoe into the world of CrossFit. ASICS have long been making footwear for athletes that support their bodies without breaking the bank, and that’s exactly what they’ve achieved again with the Gel Craze Cross Trainer for women. This is the inside of the bottom of your shoe, and it’s essential that it’s cushioned in the right areas to give you support from high impact exercises. 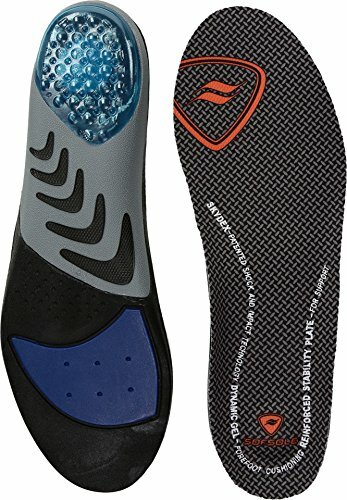 You need an insole that has the proper arch support to suit the shape of your foot so it doesn’t become fatigued or prone to injury. The size of a shoe is quite a varied thing, as we no longer just look at the length. There are other things to consider like toe box width, arch width, and overall shoe width, as well as the length, and they all need to be exact to keep you supported during your WOD. CrossFit workouts require a lot of movement, and you need a shoe that can help you stay flexible. Look for something with a breathable mesh material as well so that it’s breathable and cooling. The upper of your shoe is like the armor that protects your feet, and it needs to be able to handle the variety of workouts that CrossFit will offer. Look for something flexible, breathable and durable. For the sole, you’ll want a sturdy material that allows for excellent traction to keep you stable during lifts and sprints. CrossFit workouts are versatile, and they can be performed anywhere and in all kinds of weather. Look for a waterproof shoe that will stay protected in the rain or puddles, and will keep the sweat out of it when you’re working hard. During your very first CrossFit session, there’s a good chance that you’ll find yourself feeling a little unprepared. Either you underestimated how much of a challenge it was or you didn’t wear the right gear and it made the workout even tougher, whatever the issue was this is fairly normal for those who are new to the sport. 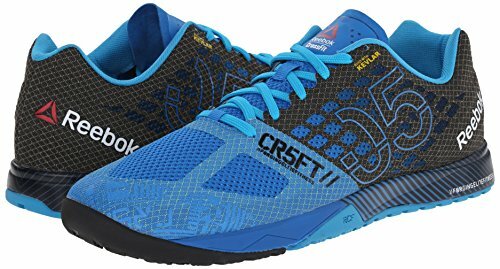 One of the biggest issues people have is that they don’t take the time to find the best shoes for CrossFit and wear their regular sneakers or opt for cheap crossfit shoes and hope for the best. 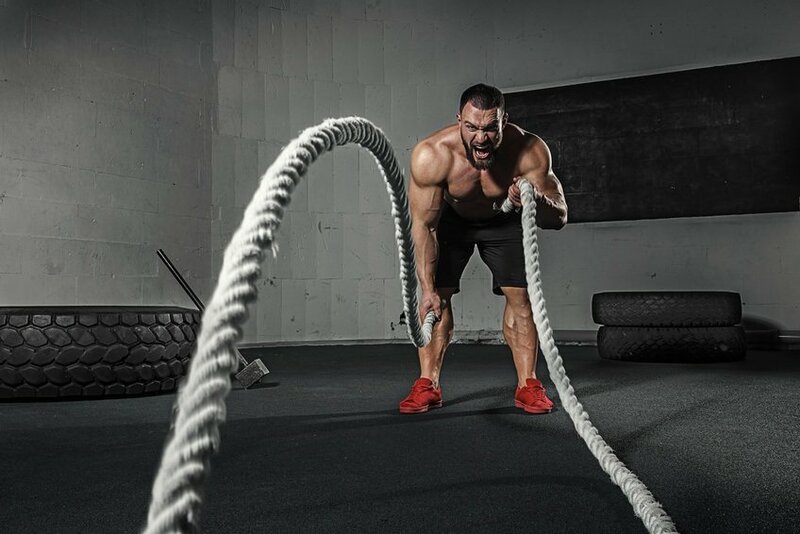 While these shoes might be great for running or everyday types of workouts, the unique needs of a CrossFit workout will mean that they could be doing you damage and not allowing you to perform at your best. When comparing a CrossFit shoe to a running shoe, you’ll notice some key differences that allow them to enhance the performance of the wearer. When running, you need a shoe that has a supportive sole as there is constant impact from the ground below. This means a solid sole is important to protect your joints from this motion as well as a rigid shoe. A CrossFit shoe is altogether different, and although there will be running or sprinting sometimes in a CrossFit workout, the primary purpose of your shoes is to be versatile. A CrossFit shoe should predominantly be light and flexible so that you’re able to move freely and partake in a number of different movements and activities. Where a running shoe needs to have a thicker sole to protect from the high impact movements, a CrossFit shoe needs to be thinner in order to support the wearer as they lift weights. If you wear a thicker sole while weight lifting you’ll feel as though you’re sinking into the shoe rather than using the ground as a solid base, so you might find it harder to improve your skills here. When you first start a CrossFit class, take some time to look around and see what the other members are wearing. For the most part, you’ll find cross trainers on almost everyone, although some people still choose to wear their running shoes, much to their detriment. Thankfully, investing in a quality pair of CrossFit shoes doesn’t have to break the bank and you can expect to spend the same amount on them as you would any other fitness shoe. You wouldn’t watch the Olympics and expect to see a runner wearing shoes made for cycling, so when it comes to CrossFit the only obvious choice is to find a CrossFit specific shoe. There’s nothing more disappointing to an athlete than an injury, and the fastest way to get yourself an injury is by not taking care of yourself when you work out. Wearing the right shoes will give you support in your arch, heel, and toes so that the heavier impact exercises won’t affect you negatively. When you’re wearing the right shoes for a workout you’re guaranteed to have better results, and it’s all because your form will be correct. The best CrossFit shoe on your feet will keep you balanced, improve your posture, and give you the strength and stability you need to see it through. In addition to its practical benefits, nothing beats the feeling of having a stylish pair of cross trainers on your feet. The simple addition of a new pair of shoes can give you a boost of confidence and help you to feel like a professional athlete as you work out. Nobody ever claimed that CrossFit was easy, and it’s quite normal to feel uncomfortable through most of the workout. This discomfort means that your body is working hard and you’re making it stronger, but it shouldn’t feel this way in your feet. Your shoes are the one area that can be comfortable even during a gruelling workout, so shopping for a CrossFit specific shoe is crucial. During any given CrossFit workout you’ll make your way through a number of exercises and you’ll need to be able to go from one to the next with speed. Having just one pair of trainers that are suitable for all kinds of exercises means no swapping shoes or bringing a separate pair along for each exercise. One of the most important parts of CrossFit is strength training, and having a pair of shoes that have a thin sole will give you greater strength to lift weights. Rather than being too cushioned so that you sink into your shoes, you’ll be right against the floor surface which means you can push harder than ever before. In the world of sports shoes, there are some leaders who continue to make durable and innovative footwear. 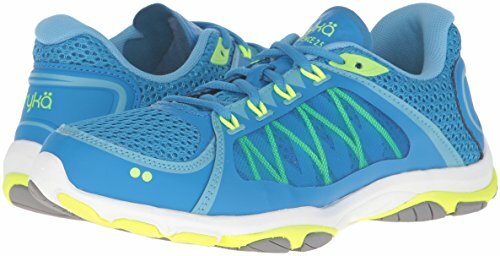 These shoemakers have proven themselves to be the very best at making shoes that suits all kinds of sports and exercises, so it’s no wonder that their range of CrossFit shoes is considered the best of the best. 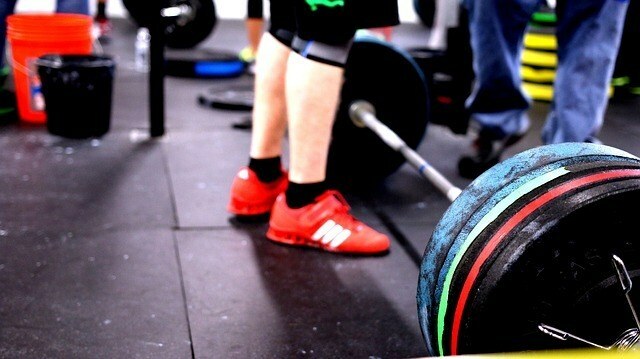 Here are some of the top-rated manufacturers of CrossFit shoes and what they bring to the table. Nike – Most athletes, professional and otherwise, have at least one pair of Nikes in their wardrobe. 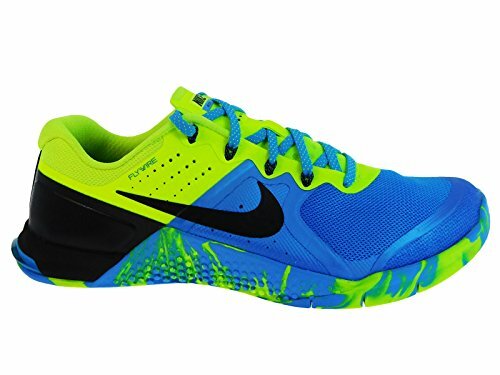 Nike CrossFit shoes come with the quality and innovation that you expect from this brand and they’re among some of the most durable on the market. Although Nike shoes usually come at a heightened price, they’re well worth every cent. Reebok – Known as the official CrossFit shoe, there’s no question that Reebok knows what they’re doing with this unique style of footwear. 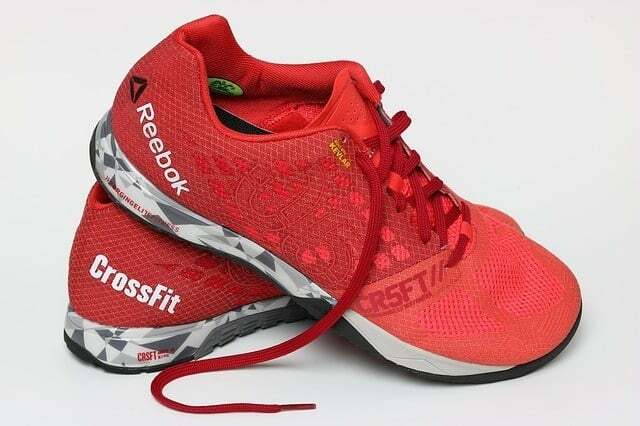 The Reebok CrossFit shoe range is for both men and women and has been designed with experts from the fitness regime to deliver you a shoe that meets all the necessary requirements. 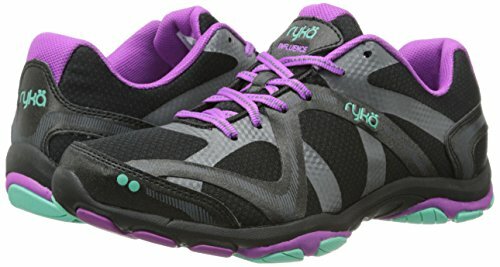 Ryka – This brand is famous for making women’s sports shoes that don’t have to break your budget, and thankfully they create cross trainers, too. Ryka CrossFit shoes have been made with style in mind, and they’re lightweight enough to keep you on your toes during a workout with just enough support where it counts. Asics – One of the world’s most respected fitness brands also happens to be one of the most affordable. Asics CrossFit shoes are extremely comfortable thanks to their patented cushion gel that goes into all of their designs, so if you need extra support during your WOD then this is the best option. If you’ve ever invested in a pair of sports shoes before you know that they can be expensive, and the hope is that they’ll last you at least a year before you need to upgrade. Thankfully, there are a few simple things you can do to take care of your CrossFit shoes and keep them in top condition so that you’re not having to buy another pair every few months just because they’re being worn to pieces. Although it can be tempting to get the most use out of your new favorite shoes, if you want to keep your CrossFit shoes working for you then you’ll need to keep them only for workouts. Don’t be tempted to wear them to the store or on the weekend as you’ll only take away from their effect during CrossFit. You can easily get sweaty during your CrossFit session and especially if you’re training outside in the wet weather. After every workout you need to dry your shoes thoroughly otherwise they’ll get mouldy and ruined. Take the insoles out first and dry them and then stuff the inside of the shoe with a ball of newspaper to soak up any excess moisture. Don’t just leave your shoes by the door when you get home from your workout otherwise it could be doing more damage than you realize. Keep them in a room temperature space away from the sunlight or wind, and never store them in a box or somewhere that isn’t breathable. If you can afford to, it’s always best to have two pairs of CrossFit shoes at the ready. Wearing the same pair of shoes day after day can put them through a lot more wear than if you alternate shoes, so if you have the budget it’s definitely something worse considering. One of the best ways to ensure your shoes last is by choosing a quality brand and not skimping when you make this serious investment. Although it might seem like a big cost at first, better quality shoes will last a lot longer and be easier to care for, so be sure you’re choosing one with the right features. Style – Although not as important as the feel of your shoes, the style will have a huge impact on how you feel. With colorful shoes that match your personal style, your confidence will give you everything you need to get through tough workouts. Men’s or Women’s – Try to avoid buying unisex shoes, especially for CrossFit, as men and women have different shaped feet and different needs for their style. Shop for your gender and you’ll be guaranteed a better fit. Sole – The sole of a CrossFit shoe needs to be thin but with enough support to get you through high impact workouts. The thinness will keep your feet flexible for different exercises and help you when lifting weights but the cushioning will keep you protected. Flexibility – Look for materials in a shoe that will move freely and not feel too rigid as this will help you through exercises. Breathability – Most CrossFit workouts will get you quite sweaty and so you need material that’s going to give your feet some air. Look for a mesh upper that will keep your feet cool and allow the heat to escape out of there to cool the rest of your body as you exercise. There are plenty of reasons why CrossFit is now one of the biggest exercise regiments in the world and why it has so many loyal followers. This unique style of workout keeps you on your toes with its varied and challenging workouts, and there’s no discrimination for who can take part and how far you can go with it. If you’re thinking of getting into CrossFit or just want to improve your performance, understanding the importance of the shoes you wear while doing so will be crucial to your victory. You might not realize it at first, but having the right footwear can mean the difference between failure and success, and it can also keep you from suffering an injury or lifelong problem. The perfect pair of shoes should keep you comfortable through an otherwise uncomfortable workout by giving you support and stability. Whether you’re lifting weights or performing burpees, having the right footwear on your feet will make a huge difference. You’ll be less fatigued, have improved posture, and not put yourself at risk for injury, so it’s an important investment to make in your CrossFit career. Finding the right pair of CrossFit shoes is a matter of looking at your own needs and seeing how a shoe can help you fill in the gaps and help you train at your best. Ask anyone who does CrossFit, and they’ll tell you there’s nothing like it. As one of the world’s unique styles of workout, you need to be sure you have the right gear to match. Our footwear is crucial to our comfort level and performance during any workout we do, and it’s never been as important as it is during CrossFit. Finding the right shoes used to be a painful process as you second guessed whether a shoe would be right for you or right for CrossFit. The long search is finally over now that we’ve done the hard work for you and found the best rated CrossFit shoes for both men and women. As one of the world’s toughest workouts, you want a shoe that can be just as tough. That’s why it’s essential to choose a cross trainer specifically designed to serve in these harrowing conditions. Whether it’s a men’s or women’s CrossFit shoe, it has to tick all of the boxes, as well as being comfortable and supportive too. With the right pair of shoes on your feet and a motivated spirit in your heart, you’ll achieve more than you ever thought possible in your next CrossFit workout.